Robert Hughes, Senior Vice President of Finance and Risk Management at Overstock is resigning from his position to join a Blockchain venture that also involves Overstock’s CEO and founder Patrick Byrne, The Wall Street Journal reported April 6. According to a press release published on Market Exclusive, Hughes notified Overstock that he is leaving the company on April 2 and that he will take the post of chief financial officer (CFO) at the Overstock’s indirect 50% owned subsidiary DeSoto, starting April 16. DeSoto was first announced by Overstock’s CEO Byrne in December 2017. The project aims to create a global property register based on Blockchain technology in order to protect the property owners’ rights. 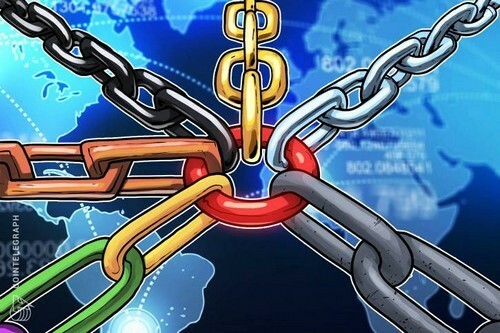 DeSoto is a joint venture between Overstock’s subsidiary Medici Ventures, responsible for the company’s Blockchain investments, and Peruvian economist Hernando de Soto. Gregory J. Iverson, previously CFO at Apollo Education Group, is set to join Overstock.com as its new finance chief from April 16. Iverson, 42 years old, worked at Apollo from April 2007 till March of this year. The CFO replacement at Overstock is taking place after the company has announced to cancel its secondary share offering of four million shares, citing “market volatility.” The company has started looking for ways to prevent further decline of its share prices after they started dropping in March following the release of the company’s “surprisingly weak” fourth quarter earnings report.